Home Obits MILTON JUDE METOYER SR.
A Mass of Christian Burial for Mr. Milton Jude Metoyer Sr. will be at 11 a.m. Saturday, April 13, at St. Augustine Catholic Church in Isle Brevelle with the Rev. Charlie Ray serving as celebrant. Burial will follow at the St. Augustine Catholic Church cemetery. The family will receive friends Saturday, April 13 from 9 a.m. until service time with the recitation of the Holy Rosary at 10:30 a.m. at St. Augustine Catholic Church. 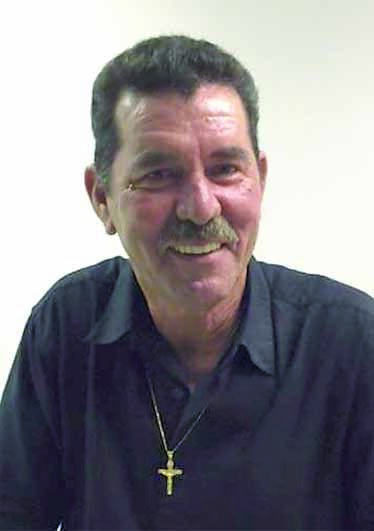 At the age of 59, Milton Jude Metoyer Sr. passed away on the evening of Friday, April 5, 2019, at his home, a lifelong resident of Derry. He was born March 12, 1960, to Peter Metoyer Sr. and Ella Metoyer in Pineville. Milton attended Cloutierville High School. After graduating he worked offshore and worked many years for Valley Electric. He was a hard worker and a good provider for his family. A self-employed handyman often referred to as a jack-of-all-trades. He loved his grandchildren deeply. He will be dearly missed by all those who knew and loved him. He was preceded in death by his parents, Peter Metoyer Sr. and Ella Metoyer; brothers, Peter Metoyer Jr., David Metoyer and Herbert Metoyer; a nephew, Jacob Metoyer; and a great-nephew, Jaxon Metoyer. Those left to cherish his memory are his loving wife of 38 years, Cynthia Sers Metoyer; their children, Milton Metoyer Jr., Constance Metoyer, Samantha Metoyer, Kelley Metoyer and Kelsey Metoyer; grandchildren, Joseph Llorance Jr., Layla Llorance, Jayda Llorance, Jaliyah Llorance, Mason Metoyer, Jasmyne Robinson, Javian Robinson and Mia Anderson; siblings, Nora M. Jones (Steve), Mary Ella Christophe (Anthony), Martin Metoyer (Frances), Bruce Metoyer (Mindy) and Michael Metoyer; as well as a numerous nieces, nephews and friends. Those honored to serve as pallbearers include Glenn Sers, Dominick Metoyer, Martin Metoyer Jr., John P. Metoyer, Donald Dupre’ and Anthony Christophe Jr.